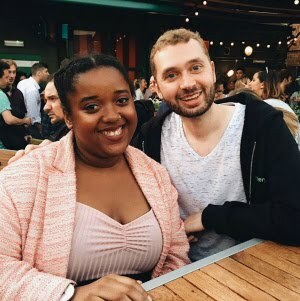 It's been well over a month since I last posted, I've missed blogging so much. As I mentioned quite a few times over the summer, I am now a Uni girl. I am nearly three weeks into being a fresher and I am honestly loving it. If you'd asked me five or even a year ago, there would be no way I'd imagine myself sitting typing this post up in my bedroom in halls. Life is crazy and has been a total Roller Coaster these past few weeks but I am loving it. 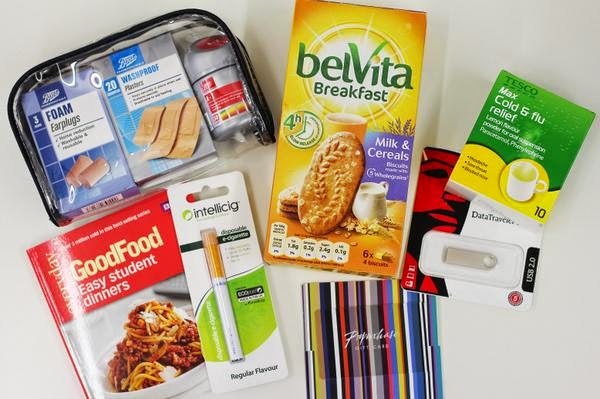 The lovelies over at Intellicig kindly sent me some essentials to get me through freshers week and at the end of this post there will be a chance for you to enter my giveaway to win everything I got from Intellicig. The Cold & flu relief has been so handy as in the first week I came down with freshers flu and needed quick things to make me feel better and this along with vapour rub helped both my nose and throat. Everything has just been so handy and has saved me having to go out and look for all these things individually. 1. It's okay to feel nervous - I can get pretty nervous for things, but the nerves for University were on a whole different scale. Looking back now, I honestly had nothing to worry about but I think I am lucky because I've met some of the most amazing people in such a short amount of time and it really worried me that I wouldn't make any friends or that my teachers would be mean but it's truly okay to feel nervous but just know that once you're all settled in, you'll start to relax a lot more. 2. Get to know people - As someone who is ridiculously shy at times, I can't believe how confident I've become in these past few weeks. I now find myself trying to get to know as much people as possible and volunteering myself to take part in things. I understand and get that not everybody is friendly, which is fine but it doesn't hurt to start up a conversation. Even a smile here and there will go a long way. 3. Budget - It is honestly so easy to overspend while being at University, especially in your first week or two weeks of freshers. Budgeting will help you to stay on top of your money and know how much you have to spend on foods shops, a new outfit, drinks etc... I am yet to try this but I think if you set yourself a weekly amount you can spend then withdraw that money so you don't take your card everywhere with you, so when you walk past Topshop and see those boots that you really like but don't need, you'll know you don't even have your card to pay for them. 4. Every shop is your best friend - Honestly, once you've paid your rent for the term you aren't really left with much so when it comes to food shopping you can't really buy anything too expensive and most of the branded things you're used to buying are now the stores own brand, which is completely fine. I am in no way ashamed to admit that a lot of things I have are own brand items (had to stick with Bisto Gravy though). You're still having a good meal so it doesn't even matter. By all means, buy branded food if that's what you prefer but it doesn't hurt and it is so much cheaper to get the same can of beans at a cheaper price. 5. Stay on top of your work - There are times when I forget I am actually at University to get a degree and not here just to turn up every night. Everyone wants to have an amazing time at University but just don't forget where you want to see yourself after you graduate. Make sure you make time to actually do some reading and look at assignment briefs, as well as actually doing the assignments. 6. HAVE FUN!!! - My most important piece of advice is honestly just to have fun. As everyone keeps telling me, your three or so years will speed by and life can be so hectic at times but just remember to enjoy yourself. University is apparently the best time of your life so enjoy every minute of it. * I don't usually have terms and conditions in giveaways but as an electronic cigarette is included in the essentials pack, this will only be an 18+ giveaway. + UK only. Concentrate on revision rather than having fun! Just to enjoy yourself and go to as many student events as possible. Dont party to hard your at UNI for a reason. Be yourself and keep your head up. Do your best and make friends to study with, you'll have different strengths & can help each other out. Don't be nervous, socialise as much as possible, you won't get this fun time again!! Enjoy yourself but study as well as having fun. Join student clubs to make the most of life at Uni. Enjoy yourself - but always do so safely. Don't be shy, it's time to go out and meet new people. Its hard work but stick with it. It will be worth the labour in the end. Keep up to date with your studies you don't want to have to work twice as hard at the end cramming all the work in! enjoy, make the most of it! Try not to burn the candle at both ends, you're a student- not a super hero!